In August, 1966, Dr. David Bruton founded Sandhills Pediatrics with his friend from medical school, Dr. William Clark. Wanting to be close to his family, Dr. Bruton came back to Moore County after his military service ended, and he and his partner opened their first office in Southern Pines. A new family, the Sandhills Pediatrics family, was born. In the past 50 years, our family has grown. A lot has happened since 1966. Children who grew up visiting Sandhills Pediatrics now bring their children to see us. Former patients have joined our practice as staff members. Today, Sandhills Pediatrics has 12 pediatricians, 6 nurse practitioners, one child psychiatrist, a PhD psychologist, two psychiatric nurse practitioners and a licensed professional counselor working in our offices in Southern Pines, Seven Lakes, and Raeford. Our providers have over 170 years of combined pediatric experience caring for the children of our Sandhills community! But even as we’ve grown, we’ve stayed true to the original vision of Dr. Bruton and Dr. Clark. Medical caring means always trying to do more than expected to show that the health and happiness of our patients and their families really matters. We aspire to have our patients and their families see medical caring come to life through our actions—it’s more than just words to us, it’s embedded in the soul of our practice. We are an extension of the family, providing reliable, compassionate, and expert guidance for parents, patients, and families. For families facing unknown, unfamiliar, and even scary situations, we seek to provide a confident hand that leads them to a better place. One of the most difficult challenges for any medical practice is balancing great, high quality care with speed and convenience. At Sandhills Pediatrics, we continue to seek new ways to achieve the ideal balance between quality care and convenience. By offering extended and weekend hours, last-minute appointment availability, multiple office locations, and by making significant efforts to reduce wait time and increase efficiency, we’re getting closer to achieving that balance every day. We understand that the road to creating happy, healthy families begins with a happy, healthy community. So Sandhills Pediatrics takes an active leadership role in shaping an inclusive future for the community in which we live and work. We serve the whole community, regardless of race, class, or means. We create a safe, supportive medical home. And we extend our efforts beyond our own walls to improve our community through service, education, and outreach. We are proud to be a Patient-Centered Medical Home (PCMH). PCMH is an innovative, team-based approach to providing enhanced primary healthcare created by the American Academy of Pediatrics in 1967. 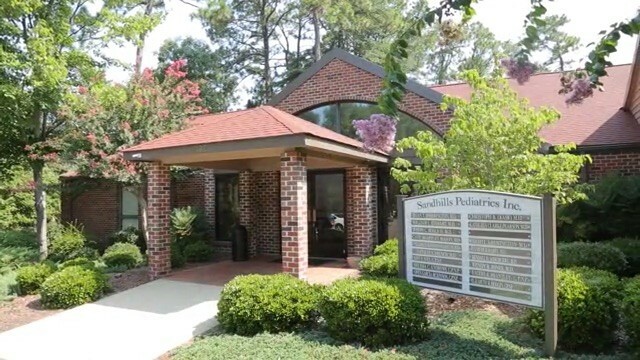 Sandhills Pediatrics has been recognized by the National Committee for Quality Assurance as a PCMH since May 27, 2010.